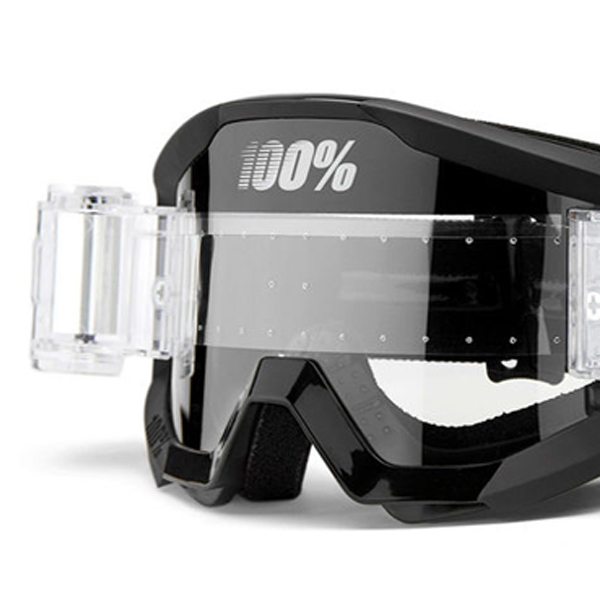 The 100% Mud Strata Goggles are a complete mud-specific system that don’t let treacherous weather conditions slow you down. The Mud Strata comes prefabricated with the 100% Speedlab Vision System professionally installed straight out of the box. Now you can immediately attack a muddy moto with the confidence of having clear vision. 1 - SVS Roll Off System: Pre-built with Speedlab Vision System to tackle the muddiest conditions. 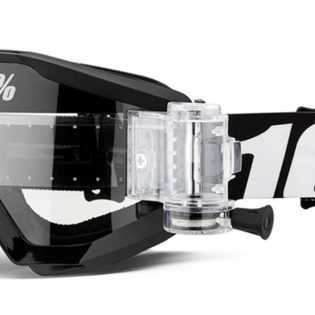 2 - Fitment: All 100% MX goggles share the same lens and tear-off profile. Curvature suited for comfort and great field of vision. 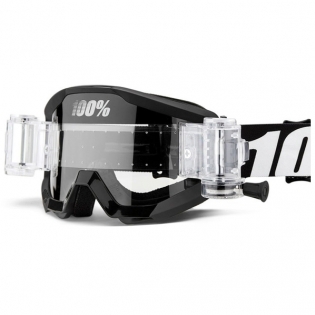 5 - Strap: 40mm silicon coated strap holds your goggles in place in wet conditions. 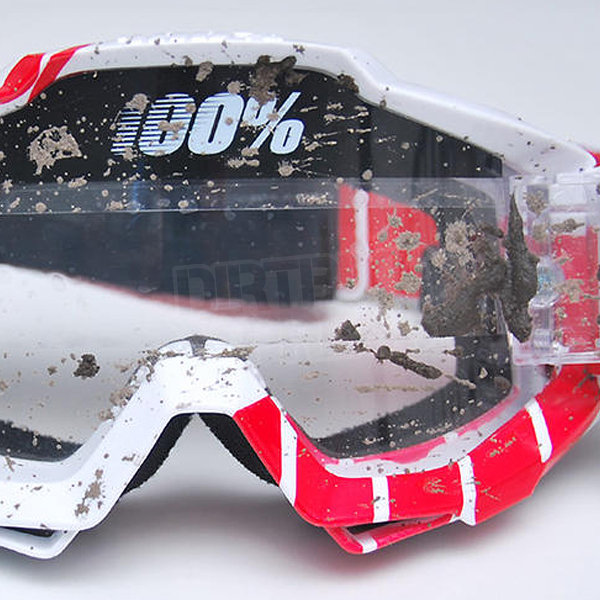 Buy 100% Strata Mud Motocross Goggles at Dirtbikexpress, the UK's favourite motocross store.